I like to think that our living spaces are a visual representation of our personal style, much like the outfits we put together every day. To prove it, I had my editorial photo taken from the firm comfort of my midcentury sofa this month. I'm sharing this to demonstrate that just about anyone can make just about any space their own, regardless of squarefootage or budget. One of my biggest pet peeves is when I am flipping through a magazine and all of the houses look the same. That is what inspired me to experiment with an interactive issue this month. "Match the Person to the House" is a little game that we made up here at Design & Living Magazine. After reading the articles in this cover story, it should be quite easy to match the person to the house, but you can't rely on appearances alone. That is the only hint I will give you though! Now, it's time for a big reveal. After two years, the March 2019 issue will be my last as Editor of Design & Living Magazine. Thankfully, I can say with confidence that I am leaving you in good hands. Starting with our April 2019 issue (the annual spring shopping guide), Alexandra Martin will be the new Design & Living Magazine Editor, and I couldn't be more proud. Along with the sunshine and warmer weather, our best days are yet to come! Before I sign off for the very last time, I want to thank everyone from the bottom of my heart for your support over the years. This position has allowed me to get to know the community on a level that I never could have imagined. To anyone I've ever written about, your collaboration has meant the world to me. To each & every contributor, I would love to simply call you friends from here on out! To all of my coworkers, I am so, so thankful for everything you've taught me. To my mentors, I look forward to facing new challenges together. To the readers, thank you for giving me purpose, always. I am not going too far, and I hope to keep in touch! At Design & Living Magazine, our goal is to create a publication that is just as much fun to read as it is to view. Here are the writers, designers, photographers and contributors who so affably use their time and talents to tell a story and give our pages purpose. Ehlen is an editorial photographer for Spotlight Media and owner of Hillary Ehlen Photography. She is a native of Fargo and attended North Dakota State University for visual arts with an emphasis in photography. Hoorelbeke is a former professional baseball player turned photographer. He is the owner of J. Alan Paul Photography in Fargo and veteran, lead editorial photographer for Spotlight Media. Hoorelbeke specializes in editorial, commercial, architectural and landscape photography. Geiger is a MSUM graduate with a BFA with an emphasis in Graphic Design. She is the lead publication designer for Design & Living Magazine, Fargo Monthly and Fargo INC! magazines at Spotlight Media. Originally from central Wisconsin, Stauner relocated to the FargoMoorhead area in 2017. She is a graduate of the University of Minnesota Duluth, where she recieved her BFA in Graphic Design and Marketing. Gleye is a professor of architecture at North Dakota State University. His fields of expertise include historic preservation and urban design, and he leads the architecture schoolâ&#x20AC;&#x2122;s term abroad program in Europe each spring semester. Cote van Rensburg is originally from Willow City, N.D., and has made her home in Fargo with her husband, Piet van Rensburg. In 2017, the two founded the local lifestyle Brand, Dak & Co.
Anderson is a Minnesota native with an eye for decor and design. She is the owner of Christen Joy Homes and is known for her exceptional remodels, expert home staging and accessorizing high-end living spaces. Anderson is also a passionate art collector, world traveler and home cook who frequently entertains friends. Cramer is current Home Builders Care of F-M Foundation president. He is agent/owner at NAI North Central, an international provider of commercial real estate services, and has been involved in land development and real estate in the F-M area for over 30 years. We at Design & Living Magazine want to make sure that our content is accurate, unbiased and reflects the local home industry. That is why we meet with our Editorial Advisory Board, which is made up of representatives from local, statewide and national organizations. Each month, we listen to their feedback and discuss innovations in local art, architecture, home decor, interior design and landscaping. In each issue of Design & Living Magazine, Christen Anderson of Christen Joy Homes will answer a home design question posed by one of our readers. Read on to see which question she addressed this month. Visual artist Jesse Emerson of Fargo has the ability to take insects that most people fear and transform them into mesmerizing works of art. One gaze into his shadow boxes will have you transfixed. Welcome contributor Kayla Cote van Rensburg as she returns from South Africa, bringing inspiration from her recent travels to share with the local community. Join contributor Paul H. Gleye as he comments on exterior photographs of homes from our archives to provide more insight into their architectural style. Homes with Personality This month, join us as we visit three very unique homes in the FM area, then try to match the homeowner to their living space! This cover was designed by Sarah Stauner, graphic designer at Spotlight Media, photographed by J. Alan Paul Photography and staged by Maria Bosak of Eco Chic Home. Thank you to Stacey Schlanser and Ruth Olson for inviting us into this beautiful home. Next Month's Issue Believe it or not, spring is almost here, and you know what that means. It's time for our annual spring shopping guide! 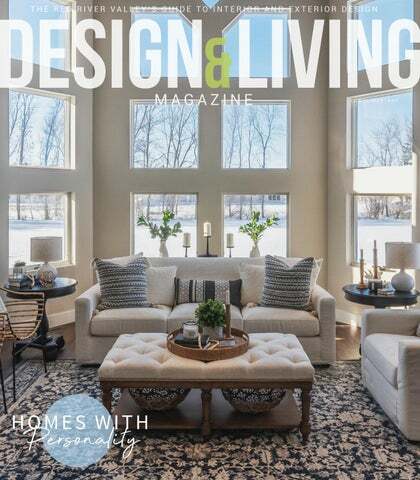 MARCH 2019 Design & Living Magazine is a free publication distributed 12 times a year. Our mission is to showcase all that the Red River Valley has to offer in terms of interior design, architecture and landscaping, profiling the people that make these possible. We also strive to provide a quality and fun reading experience and improve the way of life in our community. The publication is mailed to homes across the US and has stand distribution throughout North Dakota and Minnesota. Design & Living Magazine is published by Spotlight Media, LLC. Copyright 2019 Design & Living Magazine & designandlivingmagazine.com. All rights reserved. No parts of this magazine may be reproduced or distributed without written permission of Design & Living Magazine and Spotlight Media, LLC is not responsible for, and expressly disclaims all liability for, damages of any kind arising out of use, reference to, or reliance on such information. 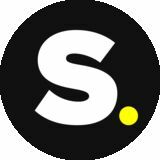 Spotlight Media, LLC accepts no liability for the accuracy of statements made by the advertisers. SPECIALIZING IN CUSTOM RESIDENTIAL WATERPROOF SHOWERS HEATED FLOORS BACK SPLASHES AND SO MUCH MORE! We have partnered with the United Way to celebrate the 35 Under 35 Program. In this issue, meet the 2019 class as well as 9 women who are actively involved with the program as leaders and volunteers. This month, join us and celebrate women all across the Fargo Moorhead region who are an integral part to our successful business community. The reasons to live in and love Fargo are ever-growing. From our booming downtown to our exciting tech and startup scene to our championship athletics, the list goes on. In addition to all of these things, Fargo also boasts a impressive scene for families. Weâ&#x20AC;&#x2122;ve collected stories, tips and tricks from local families to help prove why so many people choose Fargo as the place to grow their family. North Dakota State brings in student-athletes from all corners of the globe. Some of the most successful and beloved Bison come from our very own backyard in North Dakota. These athletes embody what it means to be a North Dakota State student-athlete and know what it takes to succeed as a Bison. They possess the values of North Dakota and North Dakota State University. That is pride on the prairie. Pictured above: Ben Anderson (middle left) and Connor Lubben (far left) of Benjamin Custom Homes on a Habitat for Humanity job site. Let me introduce you to Conner Lubben. He is a first-year student at Minnesota State Community and Technical College studying construction management. Originally from Fulda, Minnesota, he received a $1,000 Home Builders Care of F-M Foundation scholarship, which he used for books and an updated laptop. the Home Builders Care Foundation board and recognizes the importance of mentoring those with an eye for the trades. Thanks to the scholarship dollars he received, along with the mentorship and kindness of his boss, Ben, Conner wants to pursue his dream of working in residential construction right here. For Home Builders Care Foundation, it is more than just awarding dollars to deserving students going into the trades; it is about offering mentorship opportunities and creating relationships with local employers in the Fargo-Moorhead community that make students want to stay. Conner is just one example of a student that Home Builders Care Foundation can help when you party with us at our annual Fish Dinner Fundraiser! Coming up March 22, it’s a night of delicious food, lively auctions, kids’ activities and a chance at a $500 grand prize. You will have a fantastic time while supporting careers and students just like Conner who are so important to our community and overall economy. Tickets are just $20 and available at the Home Builders Care Foundation and Home Builders Association office: 1802 32nd Ave S, Fargo. Read more about the Fish Dinner at www.hbcfm.com. Randy Cramer is current Home Builders Care of F-M Foundation president. He is agent/ owner at NAI North Central, an international provider of commercial real estate services, and has been involved in land development and real estate in the F-M area for over 30 years. Home Builders Care of FM Foundation Impacting our community through building projects, empowering students and shaping the future workforce. BY Christen Anderson | PHOTOS BY Hillary Ehlen Meet Christen Anderson of Christen Joy Homes. Each month, she will answer a home design question posed by one of our readers. Anderson is a Minnesota native with an eye for decor and design. Christen Joy Homes is known for new-construction-commercial projects, exceptional remodels, expert staging and accessorizing high-end living spaces. Anderson is also a passionate art collector, world traveler and home cook who frequently entertains for friends. don’t need to be on my desk or aren’t as pretty to have out all the time. Lastly, the console table was a good fit for my catch-all. It’s near the entry of the room and is a spot I can place magazines, stacks of books or start to gather client samples for an upcoming meeting. I also use it as a spot to display welcoming items for clients such as Pellegrino and fun gummy bears that taste like Champagne and Rosé! Also, if you’ll be sitting for long periods of time, an ergonomic chair is a must. This, for me, is the most important investment! I found a chair locally that was both pretty and comfy. owl or are you just a girl boss who works round the clock? Take into consideration the natural light you have or don’t have and the type of window treatments you have or are considering. For those of us in the FM area, even 4:30pm in the winter can get dark, so lighting is going to be key. In my office, I wanted it to feel light and bright at any hour of the day. Though I had found the perfect light fixture for the room, the two light bulbs weren't going to cut it. I brought in my electrician and had him add in recessed cans in each quarter section of the room. I had him keep them on separate switches so I could use less light in the mornings when I like to ease into my day with a more dim-lit setting. I also selected a lamp that had a built-in dimmer that could also be used in the mornings or evenings. Email your design questions to hello@christenjoyhomes.com for the opportunity to have them answered next month. your items are and you can layer in your choice of colors to make your space uniquely yours. I went with a blush to echo my coral brand color. I also found petrified wood bookends to add a bit of wow factor in the small space and found a small white organizer to store notepads, bills and thank-you’s I’m wanting to write out. • Baskets: Outside of the baskets in my closet, I added in two large handwoven, chunky baskets underneath my console table. I can place product that I want to share with clients in here or I can use it as another spot to store incoming product or samples. • Mood board: I love a physical spot I can collect ideas, inspirations and can start pulling together client designs. • Accent furniture: I knew I wanted a place for clients or guests to join me in my newly designed space. I found a chair that didn’t overwhelm the room, though complimented it. I also found a stool with this fun design that can be used for client’s coffee, as an additional seat or an extra space for me to utilize when the office is in full motion! isual artist Jesse Emerson of Fargo has the ability to take insects that most people fear and transform them into mesmerizing works of art. One gaze into his shadow boxes will have you transfixed. This month, we met the talented young artist behind these unique pieces and dissected his take on entomology as a form of modern art. Personal History Emerson is originally from Bismarck, but he was drawn toward the FM area to study sculpture at MSUM. Emerson noted that he was influenced by local educator Rebecca Engelman. "I had a phenomenal art instructor growing up. That was really what pushed me to go into the arts, having her as an inspiration," he said. After making a series of friends in the FM area, Emerson never left town. He is currently working at the Plains Art Museum in Downtown Fargo. "I'm happy to be there. They have given me so many opportunities," he explained. Emerson's work was featured in the 2018 Spring Gala. Looking back now, you might not be able to recognize it though, as this was before he fell in love with entomology as art. Introduction to Entomology Entomology can be defined as the study of insects. In the summer of 2018, Emerson made his first piece featuring preserved insects displayed in a shadow box as a gift for a friend on their birthday. Emerson's close friend and fellow artist, Hunter Simonson, was extremely supportive and encouraged Emerson to continue working in this medium. "It [entomological preservation] was always something that I admired, so I just taught myself how to do it. I figured out where to source insects, how to rehydrate them, and one thing lead to another. It's been a really interesting experience. I definitely have a lot more to learn, but I've been having a lot of fun playing with bugs," he said seriously. Perfectly Imperfect Today, Emerson much prefers working with insects, although it can be frustrating at times. "I try to make them as perfect as they can be naturally, but no insect is going to be fully symmetrical," he said. So far, he has created two series featuring insects as art. "The first series that I did had a lot of geometric and symmetrical patterns, but the second series was a lot more asymmetrical, a little more abstract," he described. Entomology as Art For Emerson, the preservation of insects is more than a science. "When you see a scientific specimen, most of the time they are by themselves with a scientific name pasted underneath in a shadowbox. I wanted to put more of a contemporary spin on the preservation of insects. I didn't want it to be solely entomological or scientific. I wanted it to be more of an art form in and of itself," he explained. Emerson sources specimens from all over; one of his vendors is out of Southeast Asia. "Unfortunately, we don't have the prettiest insects up here," he said. However, Emerson does work with local specimens when possible. His favorite is the Japanese Flower Beetle, an invasive species found in Minnesota. When asked to identify which exotic specimen was his favorite, the artist said, "I would probably have to say that one of my favorites is the red devil cicada. They have this red velvet thorax that is just really gorgeous." For his designs, Emerson likes to lay everything out in advance. "I like to plan everything out ahead of time, but generally when I start putting the insects down, I end up wanting to move things around or add more until it really feels like it's done," he revealed. Personality Here at Design & Living Magazine, we believe that your homeâ&#x20AC;&#x201D; whether it is an apartment, condo, townhome or houseâ&#x20AC;&#x201D;should reflect your experiences and personality. After all, each piece of furniture and decor that we surround ourselves with is an extremely personal choice, whether we are aware of it or not! This month, join us as we visit three very unique homes in the FM area, then test your ability to match the homeowner to their living space on page 54! Finally, find out how you scored by comparing your answers to our homeowners' key on page 56.
this modern space, you will find momentous from the homeowner(s) world travels. Not only do these meaningful objects make the main living area unique, they also make this house into a home. This month, we spoke with Trever Hill of Trever Hill Design about how he makes his clients' personalities visible throughout their living paces. f FOYER Upon entering the foyer, the first feature likely to catch your eye is a room divider off to the right designed by Jackson Strom of Chris Hawley Architects + Construction and made by FINNU Designs. Made of reclaimed fir with a stone base, this privacy screen invites the outdoors in all year long. Other noticeable design features include Canadian maple floors and white walls. To the left, a magnificent staircase made out of reclaimed wood from a turn-of-thecentury granary balances out the foyer. According to the homeowner(s), they had gotten in touch with an independent contractor who said, "'I've had all of this reclaimed wood laying here for years, waiting for someone to call me and say we need stairs.'" The homeowner(s) worked with Chris Hawley Architects + Construction as the architect of their home and Dave Anderson Construction as the general contractor. Toward the end of 2018, the homeowner(s) brought on Trever Hill to help add the finishing touches to their main living area. "Due to busy calendars, we struggled to make the space look like a home. We tried to put things up on shelves, but we hardly had time to go grocery shopping," the homeowner(s) opened up to us. However, Hill was happy to help. "It was such a beautiful home already, so it was just building upon that," the owner of Trever Hill Design shared. k KITCHEN The minimalistic kitchen features cabinets and countertops from Western Products. "We have a combination of white surfaces, rock and reclaimed wood," the homeowner(s) said. They had initially considered concrete countertops, but instead opted for a more durable surface because they didn't want to worry about red wine stains, for example. However, concrete did make its way into the space via their dining room table from McNeal & Friends. d DINING ROOM In the dining room, the homeowner(s) found an art piece at McNeal & Friends, which is also how they first met Hill, as his office was located near the back of the store at the time. (Since then, he has actually opened an office in a new location!) This is where he drew inspiration for the main living area color palette. "I was trying to keep it somewhat neutral with just a little pop of color and really the art piece that she loved from McNeal & Friends was an inspiration. It had some of those turquoises and that natural green color, which are what you see throughout," he explained. married or if you were building a house. For big events, these were critical. There are very strict guidelines as to how they can and should be used, so it was a big honor when they gave me one of those from the village as a whole. Once you have one, you're always a part of the community, so you can never forget where you come from," the homeowner(s) elaborated. Hill also incorporated petrified coral from the homeowner(s) hiking trips as decor. These little pieces live on floating shelves, which the homeowner(s) made out of reclaimed ash from Dakota Timber Co. Throughout the home, you will also see authentic reindeer pelts that the homeowner(s) have brought back from Norway over the years. Architect - Chris Hawley Architects + Construction Builder - Dave Anderson Construction Interior Decorator - Trever Hill Fireplace - Wilkening Fireplace Co. Flooring - Showcase Floors Cabinets - Western Products Countertops - Western Products Backsplash - Syverson Tile & Stone Reclaimed Wood - Dakota Timber Company Room Divider - Chris Hawley Architects + Construction, FINNU DESIGNS Decor - McNeal & Friends, Eco Chic Home, The White House Co.
recent build with Thomsen Homes is reminiscent of the country. It even has its own gravel road. Come along with us as we visit this farmhouse-inspired jewel just a few miles out of town. f FOYER When you walk through the front door, you are greeted by an open floor plan with a lovely living room to the left and kitchen to the right. These homeowner(s) put a lot of thought into their floor plan and how it would work for their family. "More than anything, I love floor plan design and reworking spaces," the homeowner(s) said. This floor plan is a variation of a two-story home by Thomsen Homes. They are planning to unveil a similar main-level floor plan in the 2019 Spring Parade of Homes. l LIVING ROOM The living room is a light and bright space with the focal point being a stunning fireplace accompanied by custom built-ins. The herringbone coffee table was also custombuilt by a local furniture maker. "We asked the maker to put a bar across the coffee table to keep the dogs from going underneath. That was the intent, but it didn't work. Gunner doesn't like baths, so he hides under the coffee table," the homeowner(s) laughed. Welcome to the first ever interactive version of Design & Living Magazine! To see if you can match the homeowner(s) to this home, turn to page 54 and follow the instructions. To simply reveal the homeowner(s) of this space, skip ahead to page 56.
been refined with all of the latest finishes at their fingertips over the years. This month, we met with Rebecca Knutson (CID) of Floor to Ceiling Carpet One Floor & Home to find out about the selections that make their home so distinctly unique. d DINING ROOM At one time, this room was an office. However, the current homeowner(s) transformed it into a formal dining room by widening the doorways and adding another statement light fixture. Though they went with a more neutral palette in this home, these homeowner(s) are not afraid of color. l LIVING ROOM The living room has also undergone quite the transformation. The homeowner(s) created an asymmetrical feature wall with reclaimed wood accents. The reclaimed wood was actually sourced from a barn that had been in the family. "I like mixing primitive with modern, to get that eclectic feel," the homeowner(s) said. k KITCHEN This contemporary kitchen has a European influence. The walnut veneer, slab cabinetry was meticulously installed by Savageau with custom trim to match. In the center island, cherry paneled drawers add a rustic touch to the contemporary space. "As you can see, there are many different finishes in this kitchen, each with their own unique texture," Knutson said. Regarding the color palette, the homeowner(s) explained, "I didn't want the grey walls to be too cold and foreboding, so with mixing in the brown, it really warms things up." m MASTER SUITE The master bedroom features a luxurious en suite bath with custom tile and cabinetry. A must-have for these homeowner(s) was a place to sit at the vanity. to the Home Here, you can test your ability to match the homeowner to their living space. Then, find out how you scored by comparing your answers to the answer key on the next page. Let us know if you guessed all three correctly by posting a photo with this issue on Instagram and tagging @designandlivingmagazine! Ole and Trish Rygg currently live in Dilworth with their four daughters, aged 9, 12, 14 and 16. While Ole hails from the southwest coast of Norway, Trish is originally from Wahpeton, N.D. This adventurous family enjoys traveling the world and spending time in nature. Originally from Lakes Country, Toso and her husband have two daughters aged 12 and 14. The family currently lives in Horace, N.D. with their three lovable pups: an English springer spaniel, a German wire-haired griffon and a Yorkie. Toso is a Design and Studio Lead with prominent local home builder, Thomsen Homes. Originally from Streeter, North Dakota, these high school sweethearts have twin sons and are now the proud grandparents of two young granddaughters. While Janelle is a contemporary design enthusiast, Roger is an avid sports fan and collector. When it comes to cardiac surgery, people want to place their trust in the hands of a professional. When buying and selling properties, it is also important to seek out expert advice. No one knows this better than Beau Flom, founder of Flom Property Group. This cardiothoracic-surgical Physician Assistant turned real estate consultant has spent the past few years putting together an elite team of talented agents to work out of his new commercial office space in South Fargo. WHAT IS A REAL ESTATE CONSULTANT? A real estate consultant is a different breed of real estate agentâ&#x20AC;&#x201D;one who prioritizes the needs of the client before their own. Flom said, "I've never 'sold' anybody on an operation. You present the patient with all pertinent data, risks, benefits, options, and they get to make a decision. That's the way I've always approached real estate too." best way I know how to help people. I've been very fortunate and am truly grateful for the people who place their trust in us and we strive to serve them in the best possible way," he explained. In fact, 50 percent of his business is from referrals as FpG continues to grow. MEET THE FPG FAMILY Now, Flom is building something much bigger than himself. He has grown the FpG family to include two administrators, six real estate consultants and one videographer. "We only want the best of the best. I'm always looking to see what is the best in the industry, not just what is the best in Fargo. That's the level of service we want our clients to expect and it has become our standard," Flom said. Flom has consistently been ranked in the top one percent of all real estate agents in the United States and a number of FpG real estate consultants have been ranked in the top five percent of all agents in the country. The FpG family has been in their new home since February 4, 2019. It was also their first day as an independent brokerage. Their commercial space is conveniently located off of 42nd Street and 19th Ave. S in Fargo. This pet and kid friendly professional environment is the perfect place to hold an FpG ping pong tournament on a Friday afternoon. I'M ALWAYS LOOKING TO SEE WHAT IS THE BEST IN THE INDUSTRY, NOT JUST WHAT IS THE BEST IN FARGO. THE VERY BEST ADVICE "Our main services are listing and selling residential and commercial real estate," Flom said. Although FpG is known for working with high-end properties, they take special pride in helping first-time homebuyers. "Those are some of the most rewarding client relationships. I always want to make sure we're giving the very best advice for them," Flom said. FPG FAMILY VALUES The core values at Flom Property Group are Trust, Communication, Teamwork, Hard Work, Growth and Fun. Of course, trust and communication are the foundation of those core values. â&#x20AC;&#x153;We have successful partnerships with our clients because we advocate for trust and communication more than anything,â&#x20AC;? said Trista Backstrom, Director of Operations at FpG. Their integrity, high expectations, tenacity and open mindedness allow them to build relationships with a positive attitude and celebrate life with fascinating people. Recently, my husband Piet and I spent four weeks abroad in his home country of South Africa. Along with visiting family, we spent much of our time traveling the countryside of Limpopo, Mpumalanga and the North West Province. Each province had its own unique beauty and was full of inspiration. In the design world, many textiles, color palettes and decor pieces have been inspired by the natural beauty the country has to offer. The rich colors, patterns and wildlife of South Africa remind me that warmer weather will be here soon. Animals South Africa is known for its wildlife, which can be seen on safari or in game reserves. I was lucky enough to see many exotic animals on my travels, including the well-known "Big Five:" the lion, leopard, rhinoceros, elephant and Cape buffalo. It's a breathtaking experience when you're walking along and suddenly, twenty feet in front of you, a giraffe gracefully crosses your path. Pieces that remind of South Africa's incredible wildlife can be found locally at O' Day Cache. KAYLA'S TIP: Add a bit of whimsey with unique animal figurines. If that isn't your thing, try subtly adding a animal-inspired print to a few throw pillows or rug. Trees When I see a Baobab tree, I immediately think of South Africa. The hearty tree is known for its medicinal properties, and the super-fruit it produces is packed with vitamin c. In Limpopo, there's a Baobab tree big enough to be transformed into a bar. The tree is 72 feet tall and 154 feet in circumference. This light fixture found at O' Day Cache reminds me of the natural beauty created by the Baobab tree. The strong base leading up to small glass fixtures, like bushy branches, resembles the structure of the tree. KAYLA'S TIP: Add texture to your space with bark-inspired pieces. Natural and raw edged wood end tables make great statement pieces. Add pizzazz to any party with a raw wood serving board for your charcuterie. Natural Textiles Silk is a natural textile produced in South Africa. The luxurious material is made into many home products and decor. At African Silks in Graskop, South Africa, they reuse every bit of silk they produce. The raw silk is used to make table runners, scarves, as well as other apparel and decor items. Fine silk pillowcases, pashminas and blouses can also be found adorning the shop. They use recycled silk weaved with other fibers, such as bamboo, in textiles shown here. You can find these rare pieces at our Dak & Co pop up shop. KAYLA'S TIP: Layer fabrics throughout your home to add warmth. Rugs, drapes and tapestries also help eliminate echo in large rooms with high-vaulted ceilings. MEET KAYLA Kayla Cote van Rensburg is originally from Willow City, N.D., and has made her home in Fargo with her husband, Piet van Rensburg. In 2017, the two founded the local lifestyle Brand, Dak & Co.
woman show to adding employees and accepting more business is a huge leap. What made you decide to take the leap and expand? On Feb. 13, 2019, the HBA of FM's Future Leaders & Entrepreneurs' Xchange (FLEX) group hosted an event at Wild Terra in Downtown Fargo. This networking opportunity offered attendees the chance to learn from leading ladies in the industry in the form of a Q&A session with a social hour to follow. We've included the highlights of their discussion below. team every day and keep being the best you can be for your clients and employees? Q. What challenges have you faced as a woman in the construction industry? Q. What do you do when you run into a career obstacle or speed bump? you'd like our audience to leave with today? and your gut. If they all line up, it's probably a really good thing to charge forward on. If a part of you is saying, 'Don't do it, don't do it,' you'd better figure out why before you do it because it's easier not to do it than to get out of it." - Sylvia Lunski Special thanks to moderators, Kiah Schmalenberg, Park Co. Realtors & Michaela Bakken of Showplace Cabinetry Design Center - Fargo. ilton Earl Beebe (1840-1923), an architect from Buffalo, New York, relocated to North Dakota about 1898, where he continued his successful practice. His major works include Old Main at Concordia College in Moorhead, as well as South Engineering Building at NDSU. In addition, he designed many single-family residences, including this large home built in 1908 for T. A. Quirk at 1129 5th Avenue South. Thomas Quirk (1859-1946) gained wealth as president of the Fargo Mercantile Company, a prominent wholesale grocery distributor. In the manner of a cornerstone, the letters “T.A. Quirk” are embossed in the riser of a concrete step. horses and carriages, and indeed a large carriage house remains along the alley behind the main residence. The architect himself lived somewhat more modestly. Beebe’s former office, much smaller but also designed with a monumental colonnaded front porch, still stands behind his own home and others he kept as rentals at 3rd Ave. North and 8th Street North in Fargo. In 1910, Beebe left Fargo at the age of seventy for retirement in San Diego, leaving behind an architectural legacy of which Fargo and surrounding communities can be proud. When you first walk into this beautiful home, you would never guess that it was built in 1989. You also wouldn't be able to tell that at one point, it was picked up and moved three miles to Woodhurst Development. Yes, this home was slated to be torn down or relocated as a part of the Fargo Moorhead Area Diversion Project. Luckily, Stacey Schlanser thought that it deserved a second chance. After receiving high-end updates, this house is now on the market, waiting for a new family to call it their forever home. it was moving, start to finish, it took two or three hours," Schlanser said. She then went on to lightheartedly comment that it reminded her of a doll house because you could see into all of the rooms as it was being moved. been replaced with tile, Luxury Vinyl Plank (LVP) flooring and carpet. "The house is twenty years old, but you'd never know it. When you step in here, it looks like a brand new house," Schlanser explained. see it updated again. I love it so much, I just want someone else to have great experiences here too," Olson said. "I love that it is so different than any other house," Schlanser added. This home truly does have some unique features such as three master bedrooms, each with their own walk-in closet and en suite bathroom. "My closet in high school was bigger than my college dorm. It was a bit of an adjustment to say the least," Olson laughed. In anticipation of the future homeowners' needs, Schlanser left the basement unfinished. "It's all roughedin, so the hard work is already done. When you have a home at this price point, a family might want to come in and finish it to their liking," she said. The Final Stage: Staging To help potential buyers envision what it would be like to live in this 6,116 square-foot home, Schlanser and Olson sought the expertise of Maria Bosak from Eco Chic Home. "We really did not want to miss the opportunity to work with this house," Bosak said. For this space, she was inspired by all of the natural light in the space. For her color palette, Bosak mostly stuck with neutrals, bringing in lots of faux greens to use as accents. "This house is beautiful without furniture, but it looks even more beautiful with the staging," Schlanser told us.